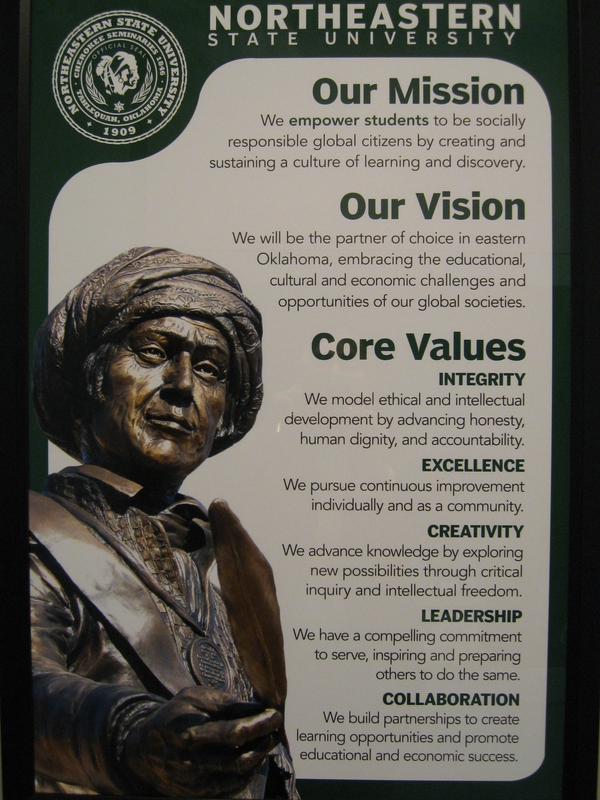 This week, the University’s Mission, Vision, and Values posters were hung in Building E (both floors, just outside the library). Always a good reminder. Getting Things Done (if you have the time)! Check out this video (unfortunately it is over 45:00 minutes long)! To the new Director of Libraries @ NSU, Sheila Collins, a big, warm “welcome” from Broken Arrow. This message just came across one of my SLA discussion lists. Just FYI. These PSAs have been uploaded to YouTube. Please help spread the word about libraries and what they do. The job advertisement created by the NSU Executive Director of Libraries Search Committee was officially released today. It will be published in The Chronicle of Higher Education and sent to several library list serves. The Search Committee for Executive Director of NSU Libraries held its first meeting on Tuesday, March 4, 2008. The primary concern of this committee, according to the discussion held during the first meeting, is to conduct the search and recommendation in as transparent and inclusive a manner as possible. Candidate interviews will include an open forum presentation. Members of the university community are encouraged to attend these presentations and participate in the evaluation process.